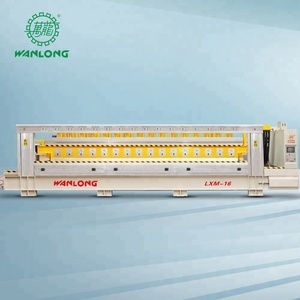 2 YRS Guangdong Shunde Belino Machinery Co., Ltd.
2) With the features of semi-automation,fully oil-immersed track,digital speed-control system,humanization design of control board,etc. 5.Delivery: Usually we can make shipment within two weeks after receiving your payment or L/C. 6.Payment: We accept T/T in advance or 30% payment in advance and the rest 70% by irrevocable L/C. 1 YRS Quanzhou Dinosaw Machinery Technology Co., Ltd.
4 YRS Nanan Xingong Machinery Co., Ltd.
5 YRS Laizhou Orient Machinery Co., Ltd.
5 YRS Fujian Province Furuite Machinery Co., Ltd.
5 YRS Foshan Chuangkingda Machinery Co., Ltd.
4 YRS Fujian Province Kaida Stone Machinery Co., Ltd.
7 YRS Fujian Xianda Machinery Co., Ltd. 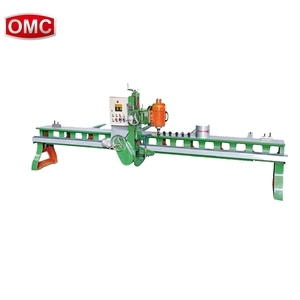 It automatically profiling through diamond circular saws to cut stone with program,uses inverter to control up-down rising and left-right feeding ,adjusts the speed according to the stone material. 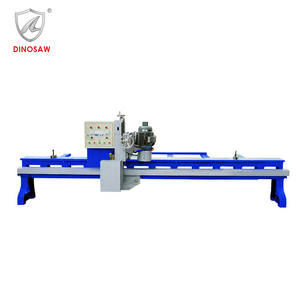 This machine adopts CNC system,higher degree of automation , higher precision cutting;using double-blades designing,with higher cutting efficiency,higher stability, easy-operation to suit for lines,arc-shaped lines,Roman columns etc. 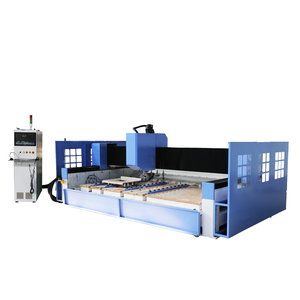 Remark: If choosing rotating worktable,the processing of arc-shaped lines can be done. 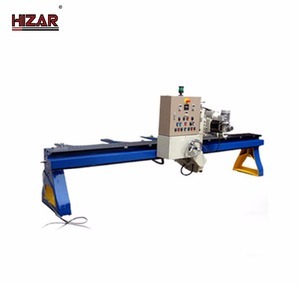 3 YRS Laizhou Datang Machinery Co., Ltd.
12 YRS Fujian Shuinan Stone Machinery Co., Ltd.
, It has manual feed in vertical and level direction, 3.It has out-extending support on level saw support to make the processing more convenient and prompt. 4.The movements of processing are divided into double-speed and frequency speed adjustment. 5.It is also used for both straight and curve edge polishing, therefore it could process the stones with inside and outside round edge. 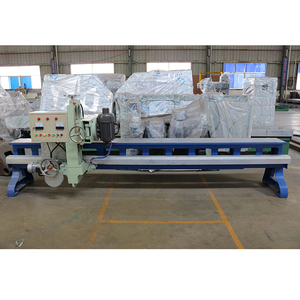 5 YRS Foshan Nanhai Zhuodi Machinery Co., Ltd.
6 YRS Fujian Xinan Machinery Co., Ltd.
11 YRS Liaoda (LAD) Glass Machinery Co., Ltd.
Automatic stone granite marble edge polishing profiling machine YD-SER-9 Machine application: YD-SER-9 is a stone edging machine, used for profiling 15-60mm thickness granite, marble or tiles. It can process round edge or other shape, based on the shape of wheels. Machine specificatons: Item Specification Max. 2 YRS Foshan Shunde Jugang Shengong Glass Machinery Co., Ltd.
2 YRS Nanan Ein Diamond Tools Co., Ltd.
12 YRS Linhai Zhengda Machinery Co., Ltd.
RAIZI-high quality stone profile edge grinding machine for granite 220V/110V-2KW-8500RPM-M10: Advantage: The RAIZI variable speed diamond profile router is powered by 2200 watt 110/220 industrial motor . This versatile machine is used to perform professional shaping of stone and concrete counter tops True variable speed design allows for the use of stock removal bit as well as positioned resin router bits for polishing. The RAIZI stone router utilizes advanced imported belt drive technology to eliminate belt slippage and loss of power under load . 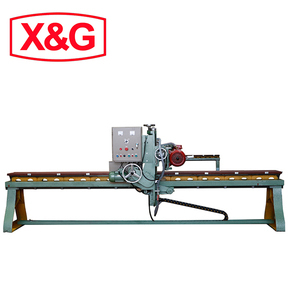 13 YRS Xiamen Eastern Pegasus Co., Ltd.
3 YRS Quanzhou Jianeng Machinery Manufacturing Co., Ltd.
JNMP-1800 Manual Stone Polishing Machine Technical data Model number JNMP-1800 Dimension (L*W*H) 3500*650*1700mm Arm length (turning radius) 1800mm Rocker arm lifting height 800-1400mm Spindle sleeve lifting height 220mm Rated voltage 380V/3PH/50Hz Main motor power 5.5 KW (dual speed) Total weight 850KG Hourly/daily water consumption 1m 3 Packing Seaworthy packing, wrapped by waterproof plastic films and air bubbles (Regular) or contained in a plywood case (Custom) Features: 1.Self-pressuring mode: dual speed; 2.Go up and down automatically; 3.Compact structure and space-saving; 4.Easy to operate and maintenance-friendly; 5.Optional: electric or pneumatic motor 6.Suitable for polishing tombstone and stone slab with triangular abrasive and resin abrasive, etc. 7.More sizes are available upon request. 1 YRS Laizhou Chunfeng Machinery Technology Co., Ltd.
1 YRS Shanghai Jiansong Industry And Trade Co., Ltd.
We only provide the best products and service for our distributors and customers. 1.Specializing in flooring system, producing floor grinder, scrubber, vacuums and diamond tools 2.Exported worldwide, we are full of the experience and care for your question always. 3. Provide the top quality machine and best service is our major responsibility. 7 YRS Foshan Bao Tao Machine & Equipment Co., Ltd.
10 YRS Shanghai Jiansong Industry Co., Ltd.
4 YRS Jinan Yuexing International Trading Co., Ltd.
2. S uperior high power water-cooling spindle could keep working at low noise level, safeguarding stability for long-time operation . 3. B reak-point memory enable the machine to continue the unfinished work after a work shift or accidents, such as tool breaking . Engraving characters, letters, pattern, intaglio, handwriting, ancient calligraphy, colored drawing, flat carving colored drawing, etc NO. 10 YRS Foshan Yongshengda Machinery Co., Ltd.
3 YRS Fujian Joborn Machinery Co., Ltd.
Alibaba.com offers 1,170 granite edge grinding machine products. About 48% of these are stone machinery, 13% are concrete grinder, and 6% are grinding machines. 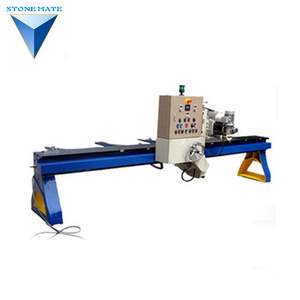 A wide variety of granite edge grinding machine options are available to you, such as stone polishing machine, stone grinding machine, and stone cutting machine. You can also choose from granite, marble, and cement brick. As well as from free samples, paid samples. 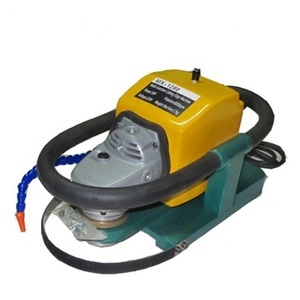 There are 1,170 granite edge grinding machine suppliers, mainly located in Asia. 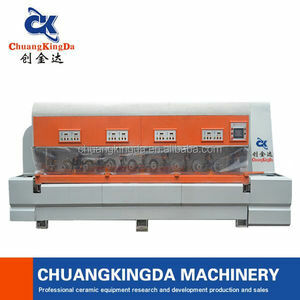 The top supplying country is China (Mainland), which supply 100% of granite edge grinding machine respectively. Granite edge grinding machine products are most popular in Mid East, Domestic Market, and North America. You can ensure product safety by selecting from certified suppliers, including 175 with ISO9001, 62 with Other, and 2 with OHSAS18001 certification.